Until her dad died, Little considered herself a Californian. 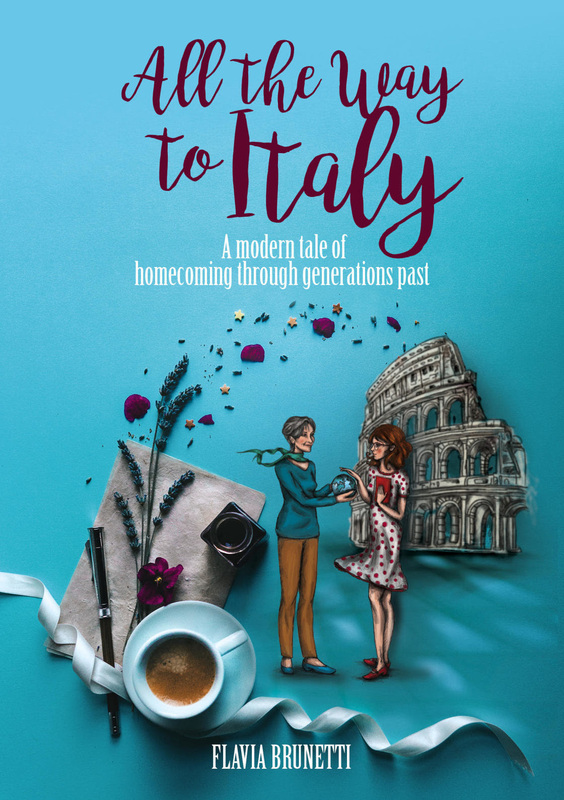 Now, thanks to half a letter, a symbol she can’t quite remember, and writer’s block, she finds herself back in Italy, the country of her birth. In a headlong rush to return to her beloved San Francisco, Little will travel throughout Italy, enlisting the help of the aunt who raised her, friends old and new, and the country itself, in her search for the answers she needs. Little who spent most of her life in San Francisco returned to Italy her hometown after the death of her father, something that is bothering her but she doesn’t have any idea, She has to find what is missing in her life, what is bothering her? She was never close to her father, she lived with her aunt Sira, Italy never felt as home, San Francisco is home. The thing which appeals me to read it was Italy, Italy always fascinates me. The story was average it could be better it wouldn’t be dragged much, this is the story of rediscovering the lost love of life either it is a hometown or relations. Characters were well defined with their nature, thoughts, suffering and secrets. Little, came back to Italy but homesick for San Francisco, She has too many questions but no one to answer them, She wants to know her father after his death and there is no way to make it happen now. Aunt Sira, She is bound by a promise she made to her late brother, She can’t see her daughter like a niece to suffer nor broke her promise. Anna, Who is neglected in this whole scenario she was motherless despite having a mother, her zio was everything for her for whole life but now his daughter is back and she became a side role. I get it the story focused on Little re-finding her roots but still, it felt more like the travel guide, I also felt the writing was flat at some places, the story got the potential it could be better. I respect the author’s love towards her country and it was beautiful how she defined that love is brave enough to own the flaws not only beauty. -If you have a profession other than writing, how do you balance your time? I consider writing a bit of a love story; I do indeed have a profession outside of it, although I’m lucky enough to incorporate writing (albeit of a different type) there too. Balance, I think, is tricky in most situations, and I don’t always manage it, but I do my best. What’s worked the most thoroughly for me is breaking down what I need to do into smaller squares through a to do list; if I’ve had a long day at work, I’ll get through at least one thing on my writing to do list. And if I need a break, I take it! -Your book is set in Italy. What is one of your favorite places that you mention in the story? Italy is a crown of jewels; it’s so difficult to pick just one. Here’s one that’s not as well-known, but has settled in my heart so deeply there’s a whole scene in the book: Villa Gregoriana, in Tivoli. 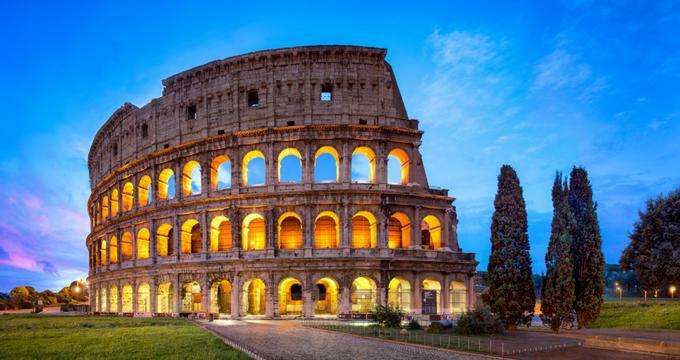 And it’s an easy day trip from Rome! -Several scenes in the book revolve around good food being eaten. What’s your favorite meal in Italy? Again, this is so hard to give just one answer to! If I have to pick, I’d say a supplì (stuffed rice ball, though the description doesn’t do it justice!) and some olive ascolane (those are in the book too!) to start with, a good plate of amatriciana (an amazing pasta dish), and a crostata di visciole (a sour cherry tart is probably the closest translation in English, though it’s more of a criss-cross pie) for dessert. -Will your next book also be set in Italy? If not, where? I find that writing often seeps from our real lives into our fictional ones—I’ve lived in Tunis for the last two years and it’s a country that has also very much taken my heart. So the next book may be set there, who knows? -How long have you been writing? My aunt still has my very first attempts at poetry, when I was a tiny girl in Rome learning my letters. Writing has always been a constant for me, through all the changes, and it’s been both a challenge and a great comfort.